Aug 15, 2008 — It’s a dog’s life, all right, as our sleeping Lola demonstrates here. She’s the Rottweiler we got a year ago, at the age of about 6 months. We got her from a woman who had gotten her from one of the three animal rescue organizations (all foreign-run) in the Lake Chapala area, and then realized that three dogs was really enough for her! We heard that Lola had been turned in to the Animal Shelter by the foreigners who had bred her, so she has never known life on the street. She is a total love, but her presence and deep bark do have a good deterrent effect on would-be ne’er-do-wells. Many foreigners who live in this area adopt Mexican dogs, and it generally works out well. The main caveat would be to use your common sense about what size dog to get, relative to your ability to handle it and to give it enough exercise. Many of the dogs who have known hunger and the street life are immensely grateful to humans who adopt them. (It’s hard to know sometimes if a dog is homeless or just belongs to a family that lets it run, but my impression is that while there are a lot of street dogs in this area, the shelters and their spay/neuter programs have made inroads into the problem.) Many Mexicans are real dog-lovers too. These dogs may come with some emotional baggage, so patience may be required. See another of my websites, training-dogs.com, for lots of information on training dogs with pain-free, positive methods. Another bit of advice would be to take your dog to a good veterinarian for an exam. If you have other animals at home, you might do that even before taking your new friend home. In this area, we are fortunate to have quite a few very good vets who speak English. If you are driving down, you can bring your dogs with you. We did this with LarryDog, our now-11 mixed breed from Colorado. Here, he’s demonstrating a trick where he waits to eat the bits of dog food on his paws till he gets told "Okay!" He needed to be in good health and to have a vet’s certificate saying so, plus he needed a very current rabies shot and paperwork to prove it, to get into Mexico. In typical Mexican-style bureaucratic fashion, you don’t know if such paperwork is really going to be needed and in Larry’s case, it wasn’t. At the border, he was barking his head off, guarding our little motorhome from the uniformed Mexican official, and the man asked if the dog bit. Assured that he didn’t normally, the man just asked if we had any drugs or guns, and when I said no, that was it for LarryDog’s border formalities. I’ve heard that going into the US is much the same. The requirements are pretty much the same, and as a middle-class Mexican friend of mine said, "It’s easier for dogs and cats to get into the US than it is for people!" Quite a few foreigners have adopted dogs here and taken them north with little or no problems. There are a variety of pet-sitting options here, from Doglandia, a boarding facility run by a very caring foreign woman, to in-house pet-sitters, to having a trusted maid or gardener either come by or stay in your home. The most popular sitters are often booked way in advance. Flying with dogs internationally can be done, but I don’t know anything about how easy it is. Neither of my darlings shown above would qualify for being squeezed under my seat in the cabin of a plane, and I would be very reluctant to subject them to a journey in a crate in the luggage bay. You can get a decent array of dog foods and toys here, though I do miss the more holistic foods available up north, and I make part of our dog food. Interestingly, LarryDog suffered from a terrible itching problem in Colorado, no matter what we fed him, and that has gone away completely here! Every word fell on fertile soil on this end. My dog, Professor Jiggs, is having an interesting time with our heat wave. If he lives until I head south, I am certain he will accompany me. Our Boston Terrier, Rosita, thrives in Mexico. There’s ample food, good water and lots of attention from Mexican children who have never seen such a strange looking dog before. Thanks for reminding me about having current papers for dogs. Mine have expired (the papers, not the dogs). We make frequent trips across the border at Nogales and have NEVER been asked for papers, but Murphy’s Law is still in effect, and one of these days if I’m not prepared, they’ll ask. A quick way to ruin a trip. 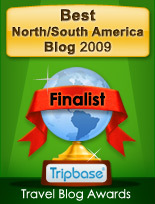 Try mexconnect.com or chapala.com forums! We are coming to Lake Chapala in June with our 10 year old Golden Retriever. We had been not been able to secure a short term rental. ANY help would be greatly appreciated. Charlie, I never know with questions like this how thoroughly people have used google. If I were in your shoes, I would search to find the realtors who list rentals. Also join chapala.com and ask there.